Although we encourage private worship, stepping into God’s presence at any time to acknowledge His greatness – praying doing meditations, singing praises – our corporate worship is a time of fellowship with our Lord and each other. 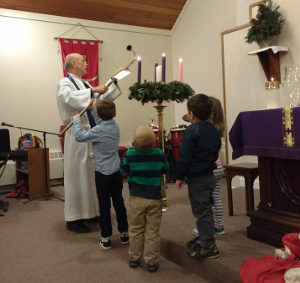 Whether at a quiet early Sunday service or the later family service with music, a team of people complement the Rector in enhancing congregational worship. These assistants also work with the Rector for seasonal and church holiday events that unite us in worship. Our worship style is comfortable for most people.